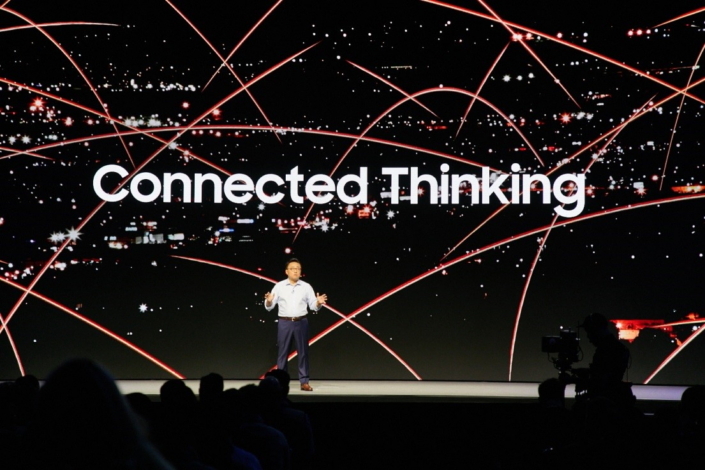 This year’s Samsung Developer Conference brought together over 6,000 developers, innovators and Samsung partners from around the world for two jam-packed days of events that showcased how Samsung’s interconnected and intelligent services offer tools to build a more open and connected future. 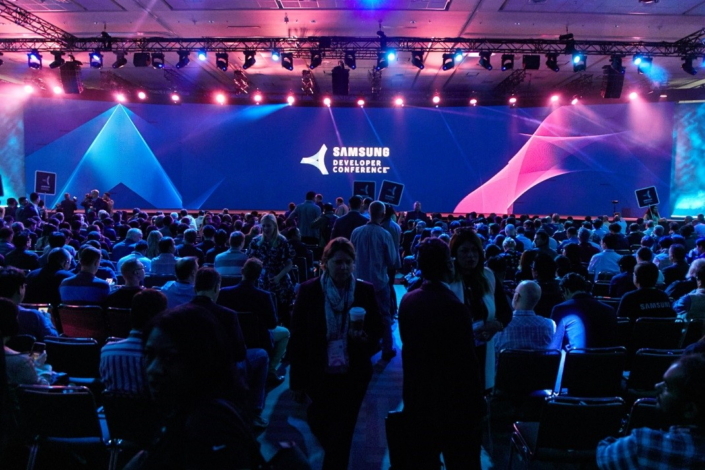 Kicking off the full slate of presentations, discussions and hands-on labs held at San Francisco’s Moscone West convention center were keynote speeches from Samsung and tech industry leaders. 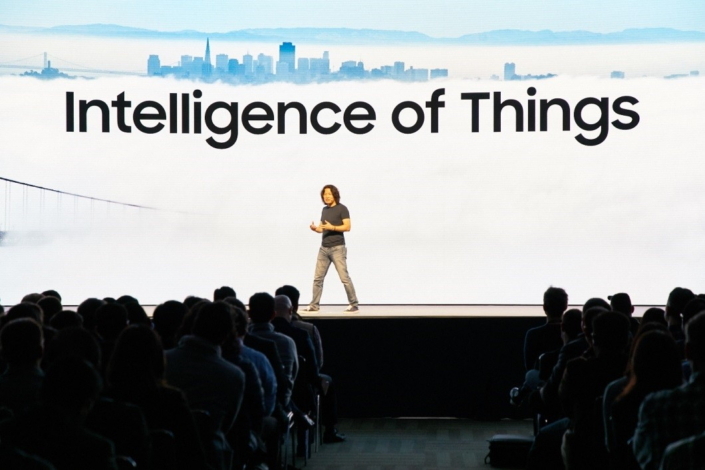 The opening keynote event illuminated Samsung’s efforts to usher in the new phase of IoT that it’s calling “Intelligence of Things”, and showcased the exciting implications for developers and consumers. Check out the highlights of the keynotes below. SDC 2017 attendees take their seats before the start of the conference’s keynote event. DJ Koh, Samsung Electronics’ President of Mobile Communications Business, opens the conference by discussing how Samsung’s leadership in hardware, IoT, artificial intelligence (AI) and augmented reality (AR) is bringing the company closer to realizing its vision of an innovative future created through “connected thinking”, where connected experiences are seamless and unified across devices. 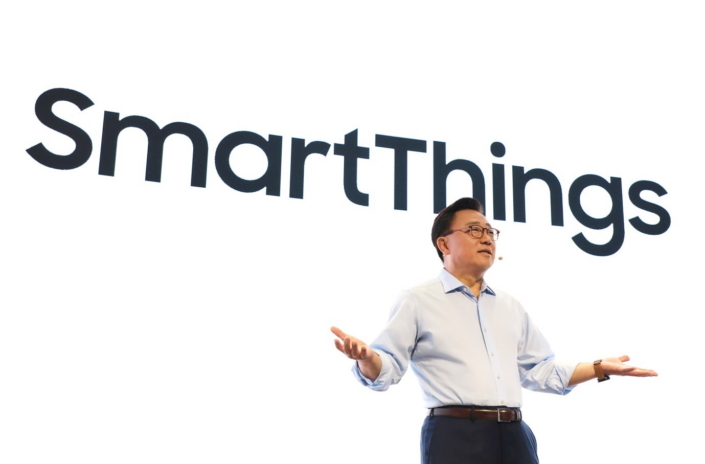 During his speech, Mr. Koh announced that Samsung will unite its IoT services – including Samsung Connect, SmartThings and ARTIK – into a powerful, integrated platform called SmartThings, which will go beyond smartphones and ultimately unite the world’s largest ecosystem of mobile devices, appliances, TVs and IoT sensors. Next, Injong Rhee, Samsung Electronics’ Chief Technology Officer and Executive Vice President of Software and Services, discussed some of the user-experience challenges that can arise with screen or touch-panel technologies, and how Samsung’s Bixby interface – which currently features over 10 million active users – alleviates them. 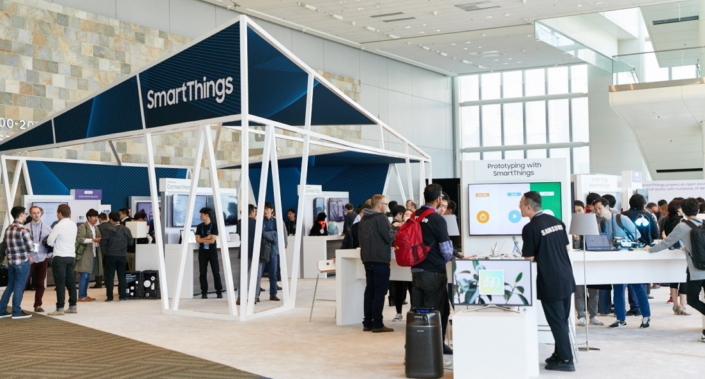 Mr. Rhee also demonstrated exciting ways that users will be able to interact with their connected services in the new Intelligence of Things era. 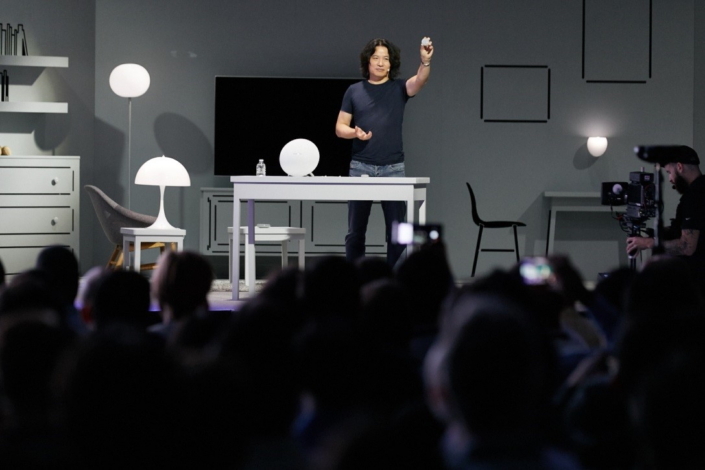 To illustrate this point, he offered attendees a glimpse of Project Ambience – a prototype dongle that may be applied to a variety of electronics to make them Bixby-compatible. 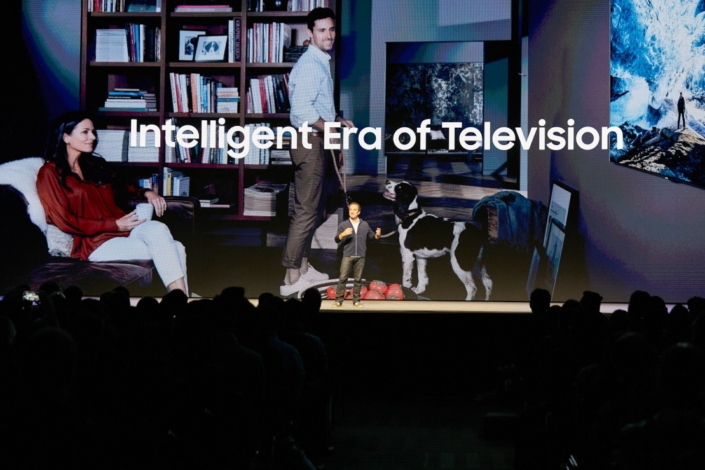 Gilles BianRosa, Senior Vice President and Chief Product Officer for Samsung’s Visual Display Business, revealed that beginning in 2018, Samsung will offer Bixby-enabled TVs in the US and Korea. 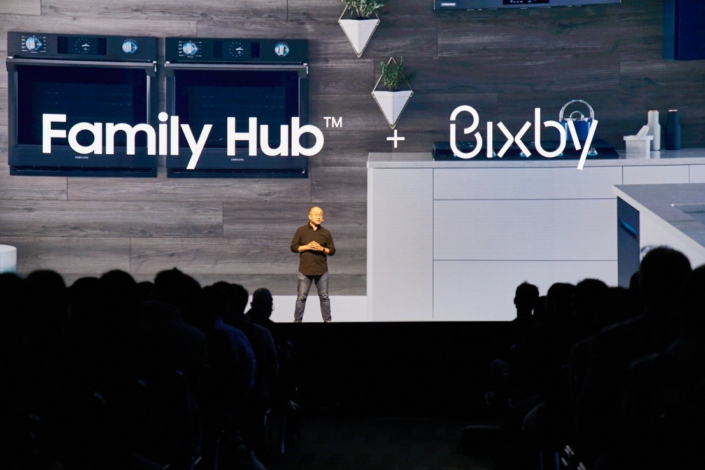 He followed up that announcement by discussing the exciting opportunities that the TVs’ Bixby integration and seamless connectivity will create, including intuitive voice controls and multi-device viewing experiences. 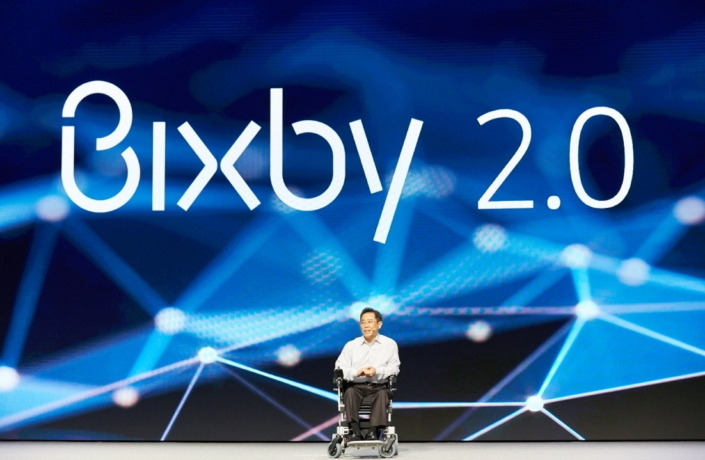 Eui-Suk Chung, Samsung Electronics’ Executive Vice President and Head of the Service Intelligence Team, offered attendees a peek at Bixby 2.0 – an update of the intelligent assistant that’s even more ubiquitous, open and personal. Dag Kittlaus, CEO and Co-Founder of Viv Labs, described the exciting benefits that Bixby 2.0 presents for developers. These include the abilities to build services without being limited by domains or interfaces, and make services compatible with any and all electronic devices. 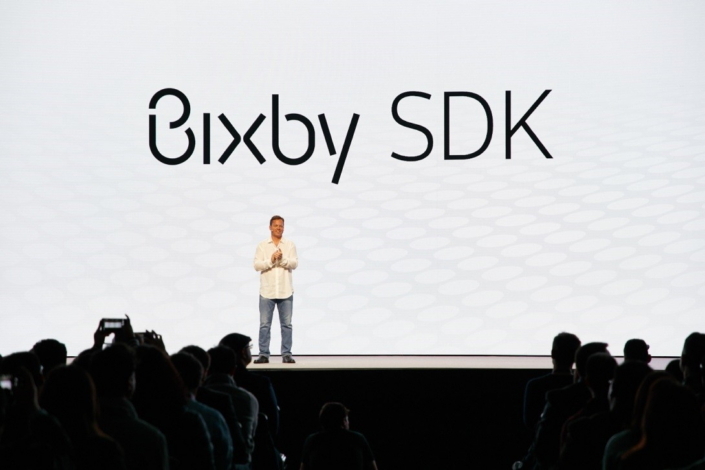 Mr. Kittlaus also announced that Bixby 2.0 is currently being introduced as a private beta SDK available to select partners, and is set to roll out in 2018. 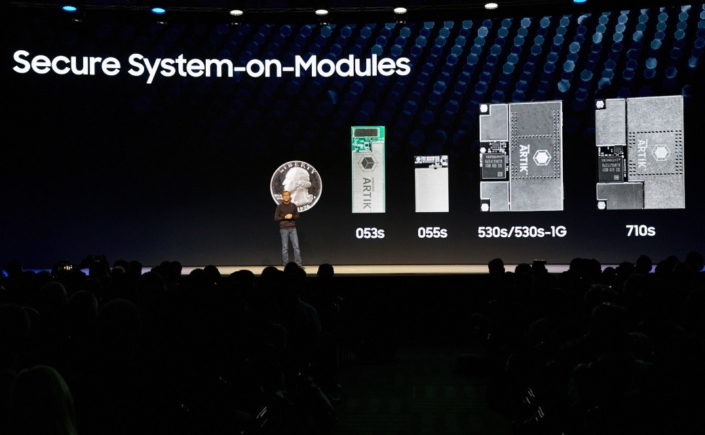 Robert Parker, Samsung Electronics’ Chief Technology Officer of SmartThings, elaborated on how the platform’s support for broad integration allows developers to create seamless experiences that utilize the full Samsung device ecosystem, and highlighted how partners like ADT and NVIDIA are harnessing SmartThings to better serve their customers. 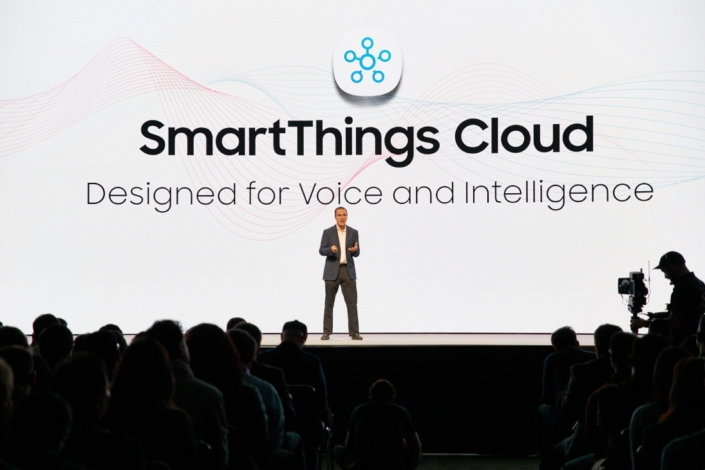 James Stansberry, the Samsung Strategy and Innovation Center’s (SSIC) Senior Vice President and General Manager of ARTIK IoT, outlined how Samsung’s ARTIK IoT platform will merge with SmartThings to become an ideal platform for developing enterprise-grade IoT products and services, and introduced new, secure system-on-modules (SoMs) that offer important security enhancements for IoT solutions. Pranav Mistry, Samsung Electronics’ Senior Vice President of Research, shared some of Samsung’s exciting developments in AR, and discussed how the company incorporates advanced object recognition and spatial understanding software into its smartphones’ cameras to create new ways to interact with the world. 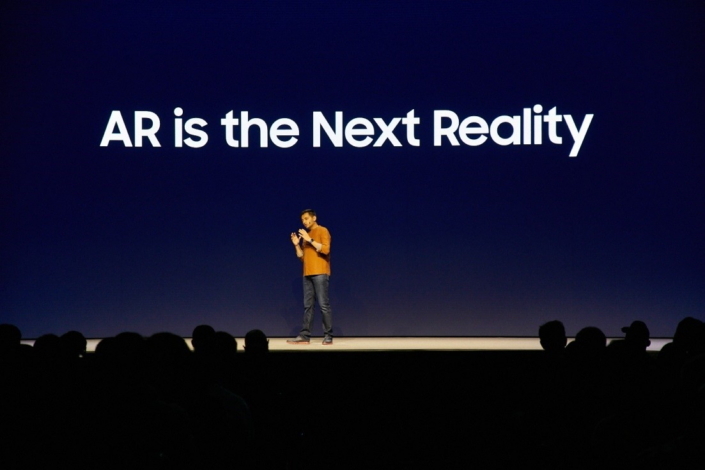 Google’s Vice President of Virtual and Augmented Reality, Clay Bavor, joined Mr. Mistry on stage to illustrate how Samsung and Google’s partnership on ARCore, an augmented reality SDK for Android, is opening the door for incredible AR innovations that will benefit developers and users. 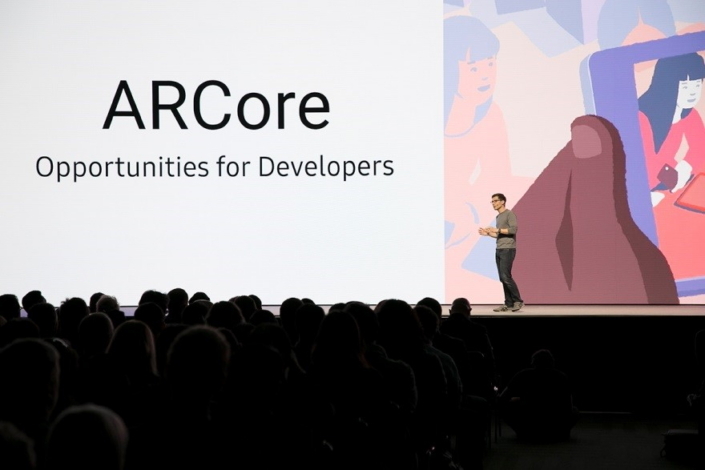 A preview of ARCore is currently supported by Samsung’s Galaxy S8, and support for the Galaxy S8+ and Note8 is coming soon. 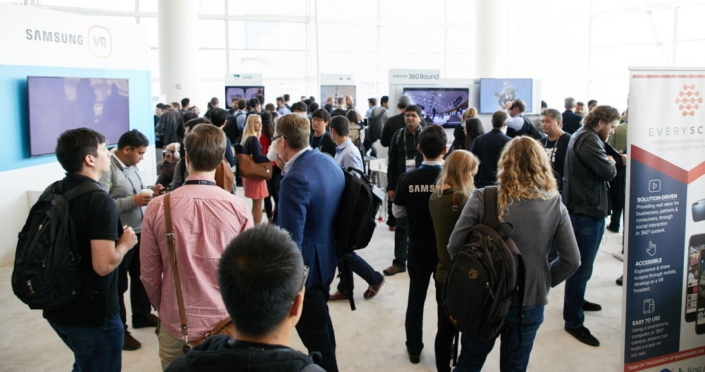 Attendees examine the wide range of Samsung technologies that empower developers to design connected solutions that enrich daily life.